I do not remember the exact model, but my father had a Nokia with incredible speakers. I would say that the whole building was aware of when somebody called him, but that technological prodigy (at that time) also had other advantages shared by the devices of the time. Among others, of course, was those batteries that never seemed to die. They remind me of that old ‘Highlanders’ movie. If Connor MacLeod had had a cell phone, it would have been that one for sure. The fact is that some people are still using this kind of phones. An old friend resisted tech trends for years, and kept his old Nokia (I don’t know if it was this particular model) until he realized that what he wanted was not a new phone, but a camera with which he could also make calls. That was the argument of his surrender, because I doubt that he would have otherwise accept that defeat. These days the indestructible Nokia 3310 has been part of the news again. A British user told media he had been using it for 17 years, withstanding —of course— the laughter of colleagues. Anyone who has resisted all this time clearly has plenty of arguments to be invulnerable to any criticism or suggestion, but some of those reasons could convince others that a Nokia 3310 is precisely what they (we) need in our lives. This is a subject largely covered in media, among other things because a phone of this kind allows you to escape the digital whirlwind and, as they said in The Guardian, regain your life. You could say goodbye to the social networks and WhatsApp, something that for many people would probably be like living an empty life. But you could do it, and in fact there have been strange and bold ideas to detoxify a little of that dependence on the mobile. There are “feature phones 3.0“, cellphones without ‘smart’ capabilities that basically inherit the virtues of those old Nokia devices and that adapt them to modern times with some improvements like having more space to listen to music (this If allowed). It is for example what is achieved with the Punkt MP 01, a funny product whose motto is that you can just focus. It removes everything “accessory” in the smartphone world, and offers you a basic, cool phone that has a ridiculous price: 295 euros. Phew. The NoPhone is even funnier, and that product is precisely what the name suggests. A block of plastic with the size and shape of a smartphone, but that is just that: an absurd and stupid plastic block so you at least have the feeling that you have something in your pocket. It’s like chopsticks for smokers, a way to fool our minds into being quiet, I suppose. The idea is to help you forget about your phone, something its creators have used to laugh about. That product has been even surpassed with the NoPhone Air, which only teaches you the package of that phone because, attention, there’s nothing inside. Well, yes, there is air. Air that does not take photos, does not store data and does not have Wi-Fi or has a headphone connector. It is “the invisible phone for people who use their phone too much“. A perfect gift ($5) for addicts to these rectangles that dominate our lives and to which we should pay a little less attention. The funniest thing about these nice phones is that they make more sense than we think. 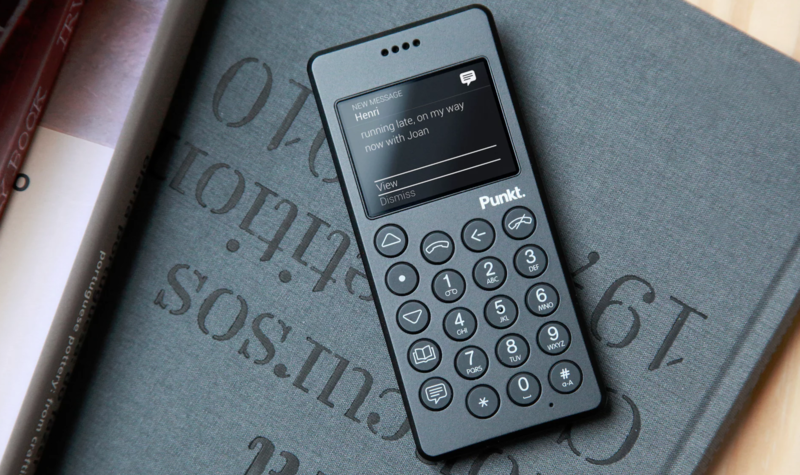 These last two are a reminder of how far we’ve come, but both the Punkt model and the Nokia 3310 are a much more useful resource than we think. Not to fight against the passage of time or social networks, no. To fight attacks against our privacy. In fact you should buy one of these Nokia 3310 if you go traveling to places where your data and privacy are at risk. Say, for example, the United States, that country in which they are posing to ask you for the passwords of Instagram or Facebook. You know, to see if you are or you relate to terrorists (because someone is going to boast about it there) when you pass through their customs. Which is precisely why if you travel there or to other countries with these types of policies the best you can do is not to take your smart devices with you. If you do, do not take the ones you use normally, of course. Use an old laptop and a rusty cell phone, formatted and totally clean, without having just used them, and in which you certainly have not gotten into your social networks. I would say you could preinstall Tails or some security focused Linux distro in that laptop, but that would probably make you look more suspicious. No. Throw in a 10 year old netbook with Windows XP (or better, a Windows Me, to whack the staff). If they stop you and want to analyze it give them access password kindly. Let’s see if they can analyze something. The same can apply to your mobile phone: that Nokia 3310 can do wonders to make you pass customs flawlessly. If you cant to take pictures of the trip, buy a camera in some big store, take them, send them those photos with an encrypted file through WeTransfer (for example), and return the camera to get back your money. There are lots of ways to make life more difficult to people who wants to know everything about you with the old excuse —”everyone is guilty until proven innocent“—, so take that into account. There you have it. 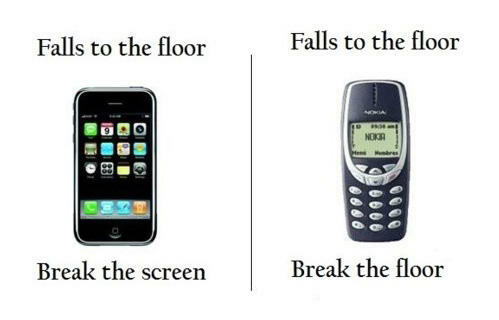 Maybe it’s not a bad idea to buy a Nokia 3310. You can access inmortality for just €12.63 at Aliexpress. That’s not too much to ask for eternal life, right?